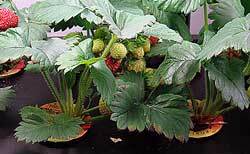 Q: How to Go About Overwintering Hydroponic Strawberry Plants? I have my strawberries outdoors in hydroponics. Summer has ended and we’ve had several killing frosts, but the seascape strawberries are still growing and flowering. My plan is to keep the strawberries in their hydroponic net pots, and to overwinter these pots with the roots hanging out, in a box of sand in the garage. I have a lot of runners I never trimmed. My question is, next year, will I get better production from the mother plants, or from the runners? Will unrooted runners survive 5 months in cold sand? Answer to: Overwintering Hydroponic Strawberry Plants? Let me start off with a few quick comments before answering your question, as other readers may benefit from the information. So, strawberry plants are much more cold-tolerant than many other popular garden plants. Once a good frost hits, most tomatoes, melons, and just about everything else is going to bite the dust. Strawberries, however, are more resilient. While any flowers in full bloom will likely end up damaged or dead, a few mild nights aren’t enough to make the plants go dormant, much less kill them (as you’ve experienced!). Even frosts don’t put the kibosh on the hardy little fellows. Once the temperatures drop down into the low twenties or upper teens, depending on the varieties you have planted, they will go dormant. It isn’t until they go dormant (i.e. look dead). That they should be moved into your planned overwintering hydroponic strawberry plants area. So, fret not. Your plants will go dormant at some point as the temperatures decline. When they do, you can then overwinter them. As far as production goes, you should get better production from the older plants for about two years. The root systems are larger, and the plants more capable of producing fruit. After two years, however, the older plants will likely start to decline in vigor. While healthy plants can continue to produce well up to age 4, they often begin to decline before then. So, to be on the safe side, you should switch out plants no later than year 3 for younger specimens. Overwintering hydroponic strawberry plants is more difficult than overwintering traditionally-grown plants due to their exposure. Water isn’t a good insulator and will freeze solid in cold temperatures. Your plan of overwintering hydroponic strawberry plants in sand can work. If you keep the strawberries in their hydroponic net pots and overwinter these pots with the roots hanging out, you can successfully keep them alive in a box of sand in the garage. You do, however, need to make sure that the roots are completely covered in the sand, and that the sand doesn’t dry out. As long as the sand remains damp and your temperature doesn’t reach arctic cold levels in your garage, they should make it. Also, make sure you use sterile sand when you are overwintering hydroponic strawberry plants. Otherwise, you can have all sorts of pathogens in it that may transfer to and kill your plants during their stay in the Hotel Silica. 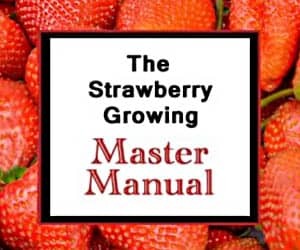 Will refrigeration(vernalization) of strawberry cultivar for specific period ensure fruit production in tropical country like Guyana?Read that some places in Africa produce Strawberries.Are there hot weather varieties?Plan to build hydroponic greenhouse in Guyana and would verymuch like to try out growing strawberries amongst other crops not normally grown there.Need all the advice I can get.Thanks. Dream of growing strawberries in Guyana where it’s always over 80 degrees and very humid.Under what conditions is it possible if any,Greenhouse,shade cloth etc? Hi, A question on hydroponic strawberries, we have a complete indoor system which can control light, air temperature, humidity and water temperature, do we still need to be selective about the particular strawberry seeds? are there particular cultivars which are more suited for controlled environment? What did you use for nutrient solution product. I store mine in the garage works well just threw a light on them.